It’s been more than three months now since I first posted about my desire to buy a good manual coffee grinder. You would have thought I’d have bought it by now but you would be wrong, I’ve been slacking off. In any event I haven’t bought one yet because I haven’t really decided which one to get. 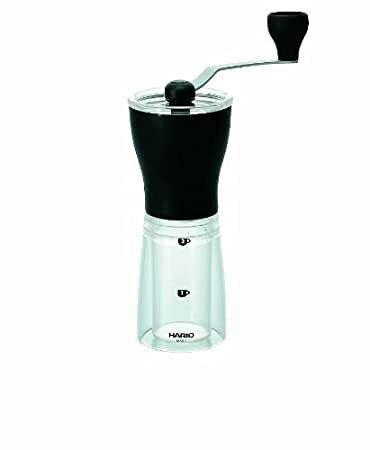 A little over a month ago I looked into manual french press coffee grinders as I’ve been using my Bodum Brazil quite frequently but unfortunately manual grinders are not all that fun if you have to change the grind size. I also make stovetop espresso just about as often and a coarse grind simply doesn’t work as well in my moka pot. Today I wanted to revisit the topic of grinders and decide which are the best for making espresso because as you may or may not know, good espresso is a byproduct of a perfect grind. Sure the bean and machine have a lot to do with it but a really good grind size (and uniformity of grind particles) really allow espresso to be great. and the grit should be shaped like flakes shaved from the bean rather than ripped or compressed chunks. Without a fine grind the pressure required to brew a shot of espresso would be lacking as the fine coffee particles actually create resistance especially as they are packed down. Grind consistency is nearly just as important because any larger particles will create a path of least resistance. They decrease pressure and water will pass by these particles before going through the finer particles resulting in an altered extraction. Of these the grit shape was a new concept to me. I’ve known for a long time now that conical burr grinders are far better than blade grinders but I didn’t know they created this “shaved” shape. Blade grinders tend to tear and break beans apart resulting in grind sizes that fluctuate and shapes that are all but uniform. 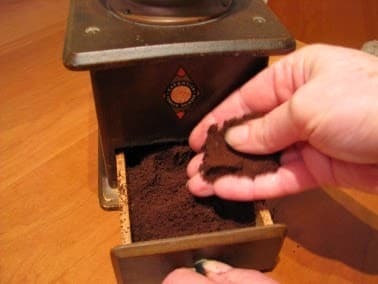 Burr grinders however grind beans against a burr to break it apart. The good burr grinders will have sharp burrs and will produce a flaky type of coffee particle which is best for soaking up water and releasing flavor and oils. Dull burrs however tend to simply crush the beans leaving rounded and crushed particles which may well be good for making espresso but aren’t the best. 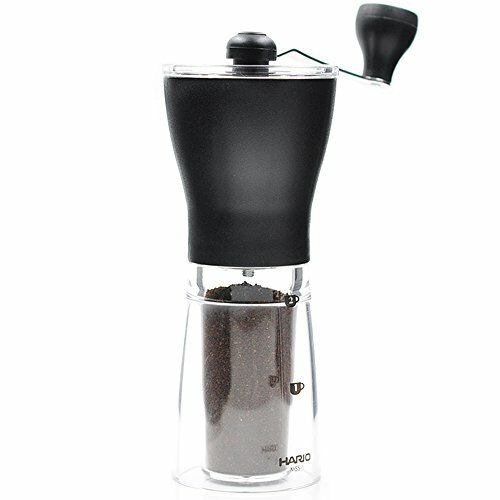 As I’ve pointed out before I am in the market for a hand mill coffee grinder. I want it to be able to adjust to either coarse grind or fine grind but I want it to make good grind too. 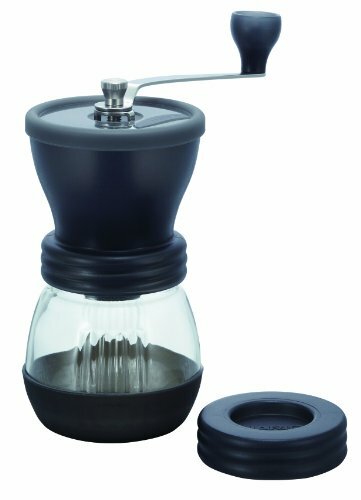 The Hario Mini Mill is on the top of my shopping list because it’s probably the best hand crank grinder for making french press grind but it’s also going to be best for the espresso grind for many of the same reasons that make it great for coarse settings – the burrs are spring loaded so they aren’t going to slip as much. As you should expect with any manual espresso grinder it will take a lot of cranking to grind the bean down to the correct size. It will be no different with the mini mill either. You’ll really have to exercise a bit of patience to get good fine grind every time you want to make a bit of espresso. For many this is fine but for those that need a break it may be best to spend a bit more money on a manual box cranker so that you don’t have to hold it. You will have to turn the crank just as long but the box sits on a countertop making it a much easier task. As is the case for all hand crank burr grinders you will get best results with sharp burrs so make sure to replace burrs once in a while or have them sharpened periodically. It will make a difference. Below I’ve listed my favorite manual crank grinder along with a few alternatives. I’ve included a few comments on each one as well. 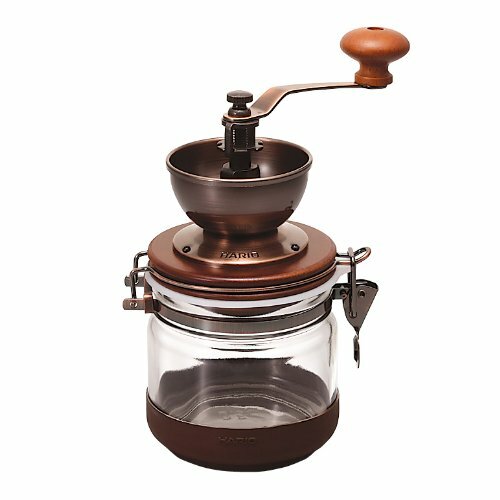 Any of these would be fine for making espresso grind, so long as you understand that you’ll be working a bit harder for your espresso than you would for a press pot. 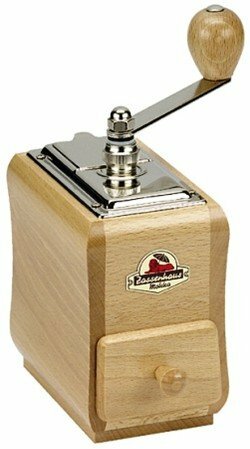 Of all these the Zassenhaus grinder is probably going to be the grinder that is of the highest quality. It is beautiful and will make excellent grind for your espresso drinks but it will be the priciest. I still favor the Mini Mill for quality at a low price point but to each his own. You can see more coffee products in our store and definitely check out our gifts for coffee lovers page if you are buying something as a gift.